Wat is dit voor site? Wij zoeken de goedkoopste boeken op internet. Revolutionary Biologyvonden we het goedkoopst op Bol.com voor €53.99. We hebben gezocht in nieuwe en tweedehands boeken. Rechtsonderaan de pagina kan je het boek direct bestellen	via Bol	.com. There is a revolution underway in biology. It is based on a new perception of bodies and genes, in which the former are the end product of the latter within the continuum of evolution. Twenty five years after Richard Dawkins helped revolutionize our thinking about selfish genes, it is time to re-evaluate. Revolutionary Biology explains in simple, vivid terms what this exciting approach has to offer, and then applies its stunning insights to human beings. This novel perspective, galvanizes our understanding of how evolution works, what living things are all about and, not least what it means to be human. The controversial disciplines of sociobiology and evolutionary psychology have generated startling insights into longstanding questions concerning the nature and purpose of families, altruism vs. selfishness, and free will vs. biological determinism. 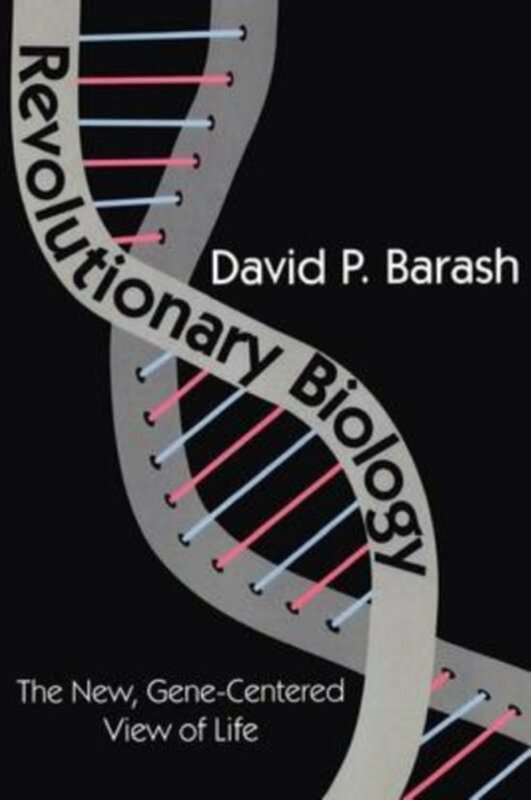 Written by one of its foremost figures, Revolutionary Biology is a manifesto and educated layman's guide to this ongoing revolution.Barash's purpose is to demystify the basic concepts of the genetic revolution and take the reader on a tour--accessible and authoritative--of the principles that underlie this fascinating turn in scientific thought. Much has been written about evolution, animals, and the animal and evolutionary origins of human behavior, yet only recently have biologists begun to appreciate these connections. The key concept is that genes--not species, not groups, and not even individuals--are the apple of evolution's eye. The result has been a major biological paradigm shift that is making itself felt in the social sciences as well. Barash explores the phenomenon of altruism both at the animal level, and the human level.Barash draws not only on a wealth of biological evidence but on literature, philosophy, and the familiar details of everyday life to communicate the essentials of this increasingly influential approach to the study of the human species. Clearly and engagingly written, Revolutionary Biology will be fascinating reading for those seeking an entry into this new science.